Ahead of Fleet Foxes’ forthcoming special limited-edition First Collection 2006 – 2009 release on November 9, the band shares its song “Icicle Tusk,” which was originally released on the self-released The Fleet Foxes EP in April 2006 in an extremely limited quantity of fewer than 200 copies. The EP was the band’s initial collaboration with longtime Seattle–based producing partner Phil Ek. It was a grassroots endeavor for frontman Robin Pecknold and his family, who helped burn and hand-screen the copies on CD. They then delivered the EPs around town to influential record stores and venue bookers, as well as acclaimed independent radio station KEXP, where the morning show host John Richards told Billboard, “Anything this catchy, well-written and -played, deserves to be put on the radio immediately.” The Seattle Times reviewed an early show, noting, “Pecknold’s alluring, unpretentious singing and a sound — anchored by guitarist Skye Skjelset — that echoes ’60s psychedelic pop alternately charmed and dazzled a robust crowd.” The First Collection 2006 – 2009 special edition is the first time this music has been available on 10” vinyl. First Collection 2006 – 2009 features content spanning the early days of Fleet Foxes’ career, including the self-titled full-length debut album on 12” vinyl, as well as the Sun Giant EP on 10” vinyl and the first vinyl releases of both the very limited-edition, previously only self-released The Fleet Foxes EP on 10” and B-sides & Rarities on 10”. See full tracklisting below. In addition to its musical offerings, the release features a thirty-two-page booklet including show flyers, lyrics, and artwork from the period. The special edition will also be released on CD and on all digital platforms. Pre-order the collection from our Megamart today. European and U.K. dates supporting Ms. Lauryn Hill’s The Miseducation of Lauryn Hill 20th Anniversary Tour begin November 17th. Shabazz Palaces are sharing the official video for “Déesse Du Sang” from their acclaimed 2017 release, Quazarz: Born On A Gangster Star. The ominous, slightly NSFW visual, is directed by returning director Stephan Gray (“Dawn In Luxor,” “Since C.A.Y.A.”). 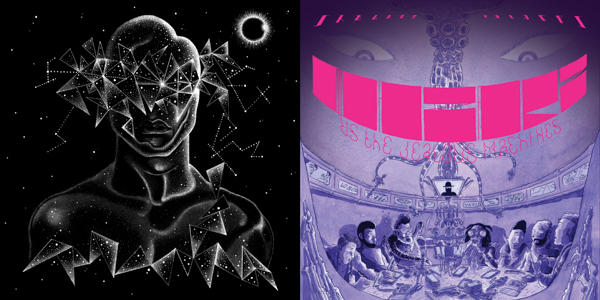 Shabazz Palaces European and UK tour dates in support of Quazarz Born On A Gangster Star, and Quazarz Vs. The Jealous Machines have been extended through February 2019. Beginning November 17th in Skopje, Macedonia and ending December 3rd, 2018 in London at O2 Arena, the group will support Ms. Lauryn Hill on the EU/UK edition of “The Miseducation of Lauryn Hill 20th Anniversary Tour.” Then in early 2019, Shabazz Palaces will return to the EU/UK a string of headlining dates beginning February 4th in Rotterdam at Bird and ending February 7th on London at Jazz Cafe. Quazarz Born on a Gangster Star and Quazarz vs. The Jealous Machines, the group’s third and fourth albums released in 2017, are available now on CD / LP / DL / CS / Illustrated album worldwide through Sub Pop [purchase it now here]. Low’s international tour schedule for 2018/2019 resumes tomorrow October 5th in Milan, Italy. See dates below. Following the release of their critically acclaimed new album, Double Negative, Low’s Alan Sparhawk gets a makeover in the official video for “Poor Sucker,” directed by Karlos Rene Ayala. 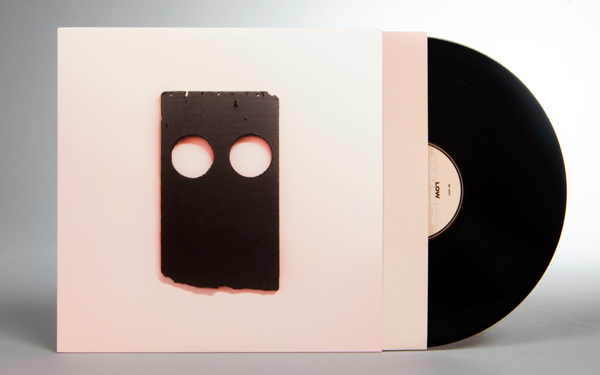 Double Negative is available worldwide now on CD/LP/DL/CS from Sub Pop [link here]. The album cover for Double Negative was created by longtime collaborator, English artist, Peter Liversidge. Low’s international tour dates resume tomorrow, October 5th, 2018 with a show at Teatro Dal Verme in Milan, Italy and currently end March 23rd, 2019 at Velour Live Music Gallery in Provo, UT. Sub Pop is currently accepting resumes from energetic, responsible, detail-oriented, and dependable candidates for a full-time Sales Clerk position at our really-pretty-highly-regarded-if-we-do-say-so-ourselves store at the Seattle-Tacoma International Airport. This guy. •	Greeting and assisting customers in a friendly manner. •	Full compliance with Sea-Tac operation rules and strict TSA regulations and restrictions. •	Efficient handling of cash and credit card transactions. •	Ability to work collaboratively and communicate effectively. •	Availability to work nights, weekends, and holidays. •	Assisting in organizing and restocking the store. •	Maintaining the general appearance of the store. •	Contributing to the team retail effort by accomplishing related tasks as needed. •	Previous experience in a retail environment. •	Knowledge of the Sub Pop catalog, Pacific Northwest music, the Seattle music community, and the City of Seattle. •	A friendly and enthusiastic disposition with customers and staff. •	Strong and clear communication skills. •	A general understanding of retail Point of Sale systems. •	Flexibility in schedule and willingness to work early or late hours. Key Note: In-State applicants only please. The Sub Pop Airport Store at Sea-Tac is open unusually long hours, generally 6am - 10pm, and 365 days a year. Please send your resume to airportstore@subpop.com. International touring schedule through January 25th, 2019 | North America, November 7th-December 15th | UK, January 16th-25th. J Mascis has shared a new lyric video for the single “Web So Dense” the latest track off Elastic Days. Directed by Joe Salinas who filmed lyric videos for the previously shared singles, “See You at The Movies” and “Everything She Said”. 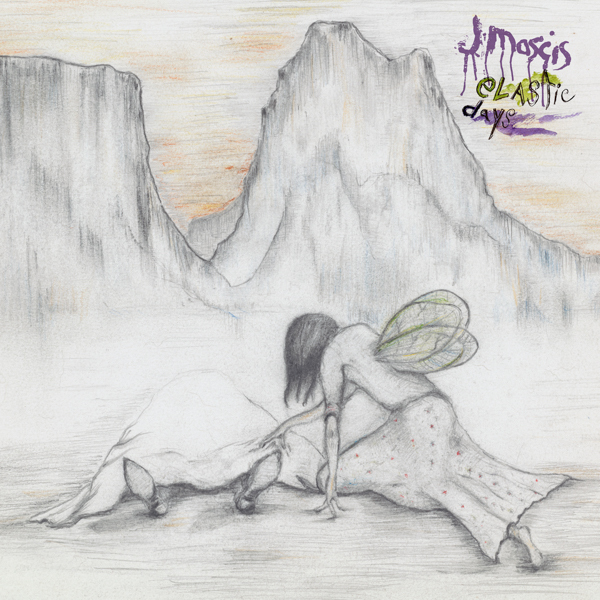 As previously announced, J Mascis has extended his international tour schedule to support Elastic Days with UK dates for early 2019. The newly added dates begin January 16th in Oxford at O2 Academy and end January 25th in Glasgow at St. Luke’s. These dates follow J’s North American tour dates which run November 7th through December 16th. Pre-orders for Elastic Days through megamart.subpop.com and select independent retailers will receive the limited Loser Edition on clear vinyl with purple swirl (while supplies last). There will also be a new t-shirt design available with this release.